Let’s face it, the price of gasoline is so unpredictable, from day to day. Wouldn’t it be nice not having to worry about filling up with uncertainty on what the final cost will be? The 2019 Jaguar I-PACE is just the vehicle for you, featuring an all-electric setup which means no more trips to the fuel pump! Sporting an incredible 72 MPG city/80 MPG highway estimated economy, this 4-door SUV has enough charge for your favorite vacations and daily road trips! The ZEV engine in this 2019 I-PACE S has no shortage of power either. This electric engine gets 394-hp of pure performance that you must feel to believe! The Jaguar I-PACE was also designed to maintain the elegant and concise perfection that you come to expect from the rest of the Jaguar fleet. With its beautifully crafted exterior and the immaculate interior, you will feel like you have stepped into the lap of luxury every time you get behind the wheel. The incredible 825W Meridian® Sound System also delivers crystal-clear music quality that will make your favorite music sound better than you could ever imagine! 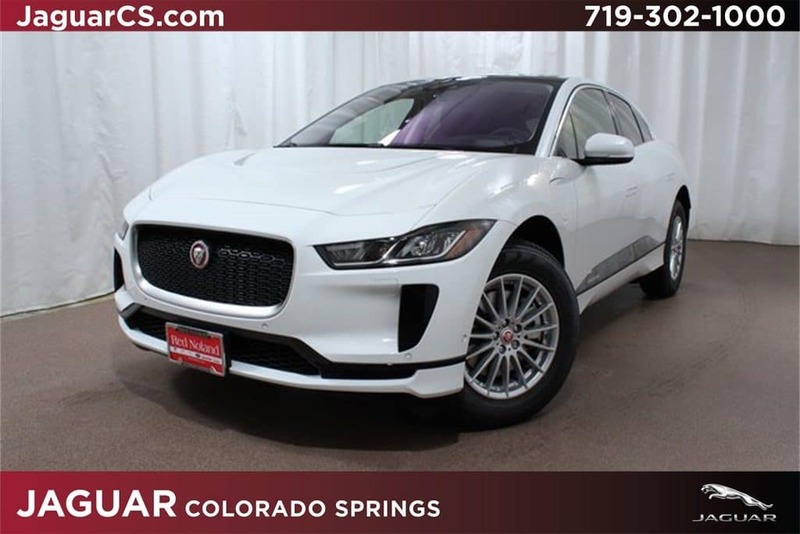 Jaguar Colorado Springs currently only has one 2019 I-PACE in our inventory, and you do not want to miss your chance to own this fantastic SUV! Come meet with our friendly sales staff and see for yourself that electric is a great way to go. Plus, we would love to show you all the other great features found in the 2019 Jaguar I-PACE!